Proteins are vital to most biological processes by performing a variety of functions. Structure and function are intimately related, thus highlighting the importance of predicting a proteins 3-D conformation. We propose GMASTERS, a multiagent tool to address the protein structure prediction (PSP) problem. GMASTERS is a general-purpose ab initio graphical program based on cooperative agents that explore the protein conformational space using Monte Carlo and Simulated Annealing methods. The user can choose the abstraction level, energy function and force field to perform simulations. 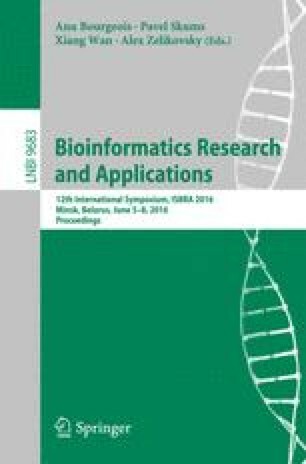 Because bioinformatics demands knowledge from diverse scientific fields, its tools are intrinsically complex. GMASTERS abstracts away some of this complexity while still allowing the user to learn and explore research hypotheses with the advantage of an embedded graphical interface. Although this abstraction comes at a cost, its performance is similar to state-of-the-art methods. Here, we describe GMASTERS and how to use it to explore the PSP problem. This work was supported by grants CNPq-305984/20128 and FAPERGS-TO2054-2551/13-0 to ONS, a CNPq Research Fellow. TLP and MSS are supported by CAPES, JFRB by a CAPES/FAPERGS DOCFIX postdoctoral fellowship.